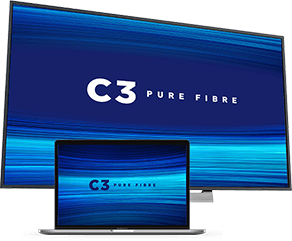 C3 Pure Fibre provides specialized services for stratas including private video and TV channels, automated gate entry, and residential TV, internet and phone. We offer a dedicated television channel and CCTV option for stratas via dedicated TV and internet fibre to meet all security and access needs. The ability to view your guests at the front gate before granting or denying access to your home provides your community with unparalleled security when used in conjunction with the gate access system. Our phone entry system allows visitors to ring your property at the gate where you can choose to grant or deny access. C3 Pure Fibre can also set up the phone systems to allow easy unit to unit calling within the strata. We offer private television channels for stratas and other entities through a dedicated fibre TV and internet solution. Private TV channels can be managed by the strata and used to keep residents up to date on the latest community information activities, amenities, etc. Strata residents can personalise their TV and internet services to suit their individual needs using our residential fibre TV and internet packages. We also offer stratas the ability to extend their internet and WiFi coverage to ensure seamless connectivity for all residents, no matter where they are located within the property.